6mm, 243 Caliber World's Fastest Gun Bore Cleaner. For 10 Second cleanings nothing is comes close. 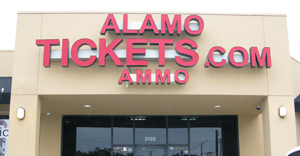 Alamo Ammo is local to San Antonio and will ship Boresnake 6mm, 243 Caliber Rifle Cleaner, 026285240122 within the US. Local Ammo Sales can be picked up at the office and get great discounts on Boresnake 6mm, 243 Caliber Rifle Cleaner, 026285240122 as well as saving on shipping.